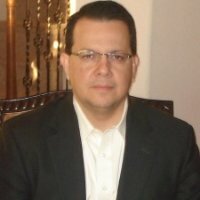 Dr. Escobedo has a BBA with Honors in Business Management, MBA in Business Administration (Accounting & Finance), a PhD in Organization and Management - Business, and Executive Juris Doctor Law Degree. He earned nine scholarships during his academic career, including the Texas Business Hall of Fame Scholarship. Dr. Escobedo has 25 years of management experience in professional positions in academia, teaching in academia, and/or providing professional training to faculty and students in diverse topics, including APA style writing. His teaching and research interests and experience are in the areas of ethics, strategic management, finance, marketing, budgeting, leadership, ethics, human resources management, organizational behavior, training and development, research methods, and mediation. Dr. Escobedo is bilingual in Spanish.